Did you know that there are at least 14 different types of safety or speed cameras that are in use on the roads of the UK? All of these cameras appear in our online database. Below we look at each with further information just a click away. Starting first with the popular fixed Gatso camera, to the latest Siemens SafeZone system, to Police mobile handhelds, to variable speed cameas and average speed check cameras which are becoming an increasingly popular choice. You'll find all these safety cameras either on the road side, on overhead gantries, behind hedges and road traffic signs on Britain's roads. Question is will you spot them, before they spot you? A speed camera detector or sat nav with a good speed camera database may be the answer, read more below about the different types of detectors that help keep you on the right side of the law and your licence intact. What's your view on UK speed cameras? Tell us via the online form on our speed camera comments page. Gatso speed cameras have been on Britain's roads since the early nineties. These rear facing fixed safety cameras photo the vehicle on the near side of the road capturing the vehicle along with its number plate. Gatso's use radar technology to trigger the camera, so it's possible to detect these speed enforcement cameras using a radar detector. Read more. 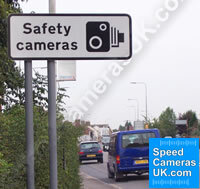 Truvelo speed cameras are the second most popular fixed speed camera used on Britain's road. The big difference between the Gatso and Truvelo safety camera, is the fact that Truvelo is a forward facing camera. Being forward facing means when triggered it takes a photo of the front of the vehicle including the driver, so unlike with the Gatso there is NO dispute who was driving. Read more. Truvelo D-Cam speed cameras with a sleek and futuristic looking design these new cameras also house the latest digital technology too. Being completely digtal means there is no film to collect (or run out), instead using a ADSL or 3G connection the cameras photos of speeding motorists can be sent wirelessly to a back office. Read more. SpeedCurb speed cameras is a rear facing fixed speed camera just like Gatso. Unlike Gatso which uses radar, SpeedCurb uses strips in the roads surface to trigger the camera when a vehicle passes too fast over them. Commonly sited at the side of the road, Speed Curb can also be sited on a central reservation and twin cameras fitted, covering both directions simultaneously. Read more. Mobile speed cameras make up a large number of the speed trap sites across the UK, though of course by their nature they're not always in use. Favoured spots include on bridges, in laybys and residential areas. You could expect to find them anywhere, however when siting a mobile speed camera, the Police or local authority should place signs warning you to their use. Read more. HADECS 3 speed camera is short for Highway Agency Digital Enforcement Camera System 3 and is being installed on sections of smart motorways in the UK. Redflex Hadecs3 speed cameras have so far been installed on the M25 in Kent between junctions 5 and 6/7. More locations are planned on a number of other motorways with smart motorway section in the UK, including the M1, M3 and M6. Read more. Siemens SafeZone speed camera is the latest speed camera to hit the UK's roads. SafeZone Cameras use Sicore Automatic Number Plate Recognition (ANPR) cameras to calcuate each vehicles' average speed between pairs of speed cameras. Siemens SafeZone cameras are replacing speed cameras in London as part of a contract between Siemens and Transport for London (TfL). Read more. SPECS speed camera usage is on the increase on the UK's roads, as unlike other fixed point speed cameras like Gatso, SPECS systems take an average speed of your vehicle over a set distance, which might be as much as several miles. A common sight in roadworks, these cameras are now being used at more and more locations. Read more. VECTOR speed camera is an average speed camera that was launched in 2014 by the same company as SPECS called Vysionics. The VECTOR speed camera uses Automatic Number Plate Recognition (ANPR) and can be used for multiple uses including; bus lane enforcement, level crossing, toll roads, as well as speeding offences. Read more. Variable speed cameras are found on busy sections of the UK's motorways including the M1 in Bedfordshire, the M25 in Hertfordshire among other major motorways. Speed cameras are sited on overhead gantries above each lane of moving traffic, meaning gantries can have up to four or five individual speed cameras targeting each lane of the motorway. Read more. Traffic Light cameras aren't that easy to spot, why? Because when the law changed in 2001 ensuring that all speed cameras must be painted bright yellow. The change in law didn't apply to red light cameras. Sited naturally at road junctions controlled by traffic light signals, these cameras catch motorists going through when the lights have turned red. Read more. Peek speed cameras are fixed road side cameras that work just like the Gatso using radar technology. As a vehicle passes the rear facing camera too fast the radar signals are triggered and a photograph is taken. Like a Gatso safety camera, using a radar detector in your vehicle will detect live in-use Peek cameras. Read more. REDFLEX Red and REDFLEX Speed speed cameras enforce red lights at junctions and speed limits enforcement. The dual purpose camera enforces restrictions on up to six lanes of traffic and a 11 megapixel digital camera captures the motoring evidence. The REDFLEX systems can be used for average speed check zones and mobile cameras installed within a vehicle. Read more. DS2 mobile sites are a cross between a fixed and a mobile site. DS2 works using embedded speed strips in the roads surface (to a fixed point), but only when the Police or Safety Camera Partnership team have their equipment connected to the site (making it mobile). Read more. Watchman speed cameras aren't that widely used across the UK and only appear in a small number of counties. Watchman like Peek and Gatso cameras use radar technology to calculate a passing cars, van, HGVs speed. 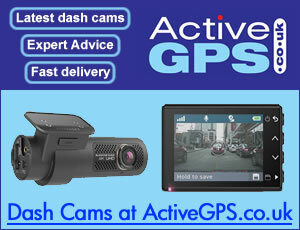 If the vehicle is driving above the speed limit, the Watchman safety camera then takes a photo of the offence. Read more. SpeedSpike speed cameras are the latest cameras that are being trialled on Britain's roads. SpeedSpike works just like SPECS average speed camera, using ANPR technology linking a series or network of cameras over a set distance. This creates a speed controlled zone, rather than just a snap shot at the cameras location. Read more. New speed camera type? Speed camera you've seen not shown above? Please contact us with details, ideally a photo and/or video of the speed camera and we'll look into it and if it's a new speed camera get it added to this webpage and website. Some examples from UK motorists follow below. Since speed cameras were introduced to the roads of the UK and mainland Europe, the dashboard solutions for receiving advanced warnings to their location has become ever more high tech. Early devices merely detected using either a laser or radar detector which were great for detecting Gatso and Police mobile locations, problem was as other speed enforcement devices e.g. Truvelo cameras were used these were undectable using a more conventional radar/laser detector. The only way to detect against the undetectable was to survey and plot all the camera locations across the country and incorporate the data into a database. The database was then coupled with GPS (Global Positioning System) technology and a new breed of GPS speed camera detectors were born. Along with the cameras exact GPS co-ordinate, the database could also be programmed with extra information including the type of the speed camera, the road speed limit and even the road name or number. Today, dedicated speed camera detectors still exist with the latest the Road Angel Gem+ updating automatically as you drive. In addition sat navs and other GPS devices like smartphones now also include speed camera locations as a monthly or annual subscription. Read more about the latest speed camera detectors in our buyers guide by clicking here or to visit our online shop to buy a detector from SpeedCamerasUK.com.